﻿ Amelia's Magazine | The Revolution Will Be Cycled! The Revolution Will Be Cycled! 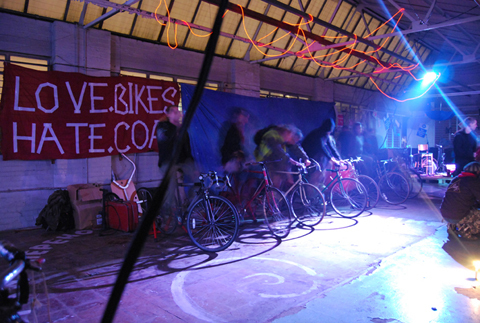 Having begun their incarnation as a Cycling Cinema which premiered at 2007′s Big Chill Festival, and capsule The Magnificent Revolution have progressed into all types of creative, information pills imaginative and inspirational forms in which to educate people about renewable energy and ecology. 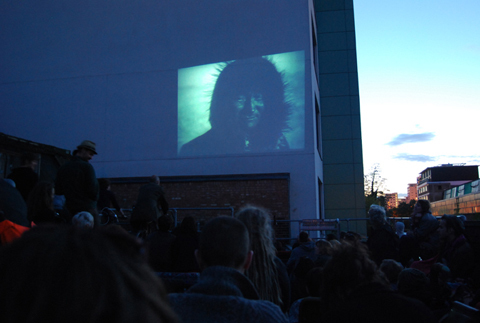 If you were around East London on Sunday 26th April, adiposity you might have caught their outdoor, bicycle powered film screening of Nanook of the North. 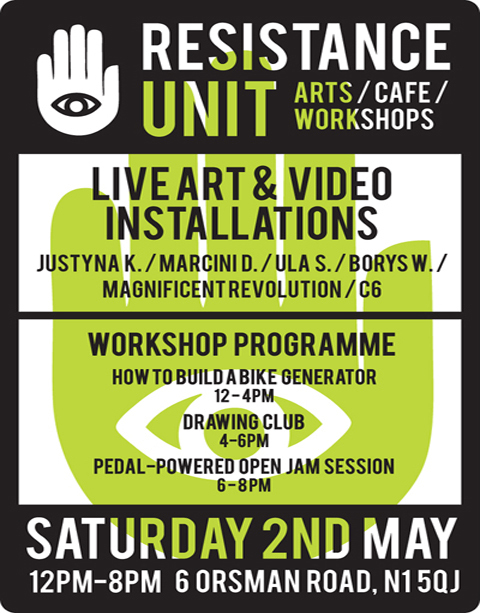 This was projected onto a wall of a warehouse building in Hackney, which also serves as the location for the next wave of art, music, discussion and peddling power which will be taking place this coming Saturday, 2nd May. So, what did I miss on Sunday? Can you tell me a little more about the events that are taking place this weekend? So who else is involved in the activities? “There are various different organisations that are feeding into the project and we go by the collective name of Resistance Unit. Within that is Magnificent Revolution, which is basically an environmental education project. We have developed the bicycle generators which we tour around schools, and we also do festivals and events – we teach people about renewable energy sources and using the bicycle generators is a nice way to get people to understand the amount of power which is needed to power the households, and it also gets them to reassess their energy use. As well as Massive Revolution, we have also got a group called Data Blender involved for Saturday- they are a dance collective, and they do various parties around London in abandoned buildings. Basically, we are providing a platform in which people can come down to the space and utilise in a creative way. So anyone who pitches up can take part – the exhibition will be taking up the space downstairs and upstairs will be workshops. 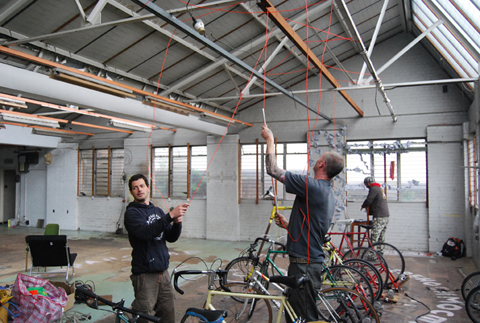 During the day we will be running a workshop on how to make your own bike generator – we will take you through the process that we have been through in order to produce your own generators, you can learn more about the context of what we do, and then you can download further information off our internet site. So all in all, it should be a good introduction to bike power and renewables.